Britain’s media regulator Ofcom says it will “consider the implications for RT’s broadcast licenses” if it’s determined there was “an unlawful use of force by the Russian state against the UK” in the poisoning of Sergei Skripal. In a statement, Ofcom said: “As the independent UK broadcasting regulator, Ofcom has an ongoing duty to be satisfied that broadcast licensees remain fit and proper to hold their licences. British Prime Minister Theresa May gave Moscow one day on Monday to explain the alleged use of a military-grade nerve agent, which the UK claims came from Russia to poison ex-double agent Skripal and his daughter Yulia. May says it’s “highly likely” Moscow was responsible. She alleges the attack was either a direct act by the Russian state on Britain, or the Russian government allowed its nerve agent ‘Novichok’ to get into the wrong hands. “The government has concluded that it is highly likely that Russia was responsible,” she said. After the statement in the House of Commons, Labour MP Chris Bryan asked May: “Can we just stop Russia Today [RT] broadcasting its propaganda in this country?” The PM responded by saying she would update MPs on “further measures” later this week. 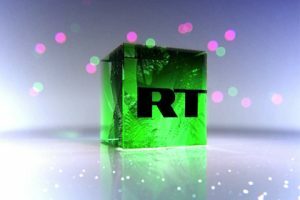 Note: If RT is removed from British TV platforms, RT is readily available free-to-air on Hotbird at 13.0° East and Astra 1 at 19.2° East.